At 6:30 p.m. Wednesday, Feb. 4, Hampton University will host a free screening of the upcoming BET miniseries "The Book of Negroes" in Ogden Hall. The screening will provide Hampton University students and Hampton Roads-area residents the opportunity to preview some of the six-part series that is set to begin airing on BET Feb. 16. 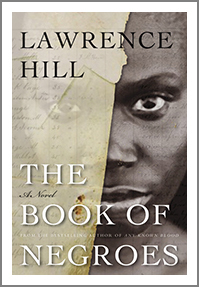 "The Book of Negroes," based on the award-winning 2007 book by Lawrence Hill, tells the story of an 11-year-old girl named Aminata Diallo who gets kidnapped from her West African village and is taken to the United States during the peak of the Mid-Atlantic slave trade. Her character is played by actress Aunjanue Ellis. She has had reoccurring roles on "NCIS: Miami" and has also been seen on the big screen in "The Help," working side by side with Lryiq Bent and Cuba Gooding Jr.
"The Book of Negroes" gets its name from the historical document of the same name. The document contained the names of those 3,000 blacks who served the British king, allowing blacks who lived in Manhattan to settle in Nova Scotia, Canada during the American Revolutionary War. "The Book of Negroes" becomes Aminata's chance at freedom, and the story is centered on her involvement with the document, and her life thereafter. Cuba Gooding Jr. told Anthony D'Alessandro of deadline.com, "It's told from the female perspective with a sense of empowerment. Through Amanita's journey we see the strength of her character. 'The Book of Negroes' is another upsetting moment for African Americans, when we have made a positive impact on the building of America, but our history hasn't been told. Hearing this tale of strength moved me." This is not, however, the first time that Hampton University has hosted a free screening of a movie before its premiere. Many students may recall the free viewing of "12 Years a Slave" October 2013 in Ogden Hall. "12 Years a Slave" had a similar motif of slave narrative. Many Hampton University students who did not attend last year's free screening of "12 Years a Slave" will have the opportunity to take advantage of the free screening this time around. Edwina Zoedua, a Pharmacy major from Prince George's County, Md., said, "Yes, I am actually really excited. I don't have any expectations, per say. I am keeping my mind open for new information and new perspectives." Kayla Anderson, a psychology major from Bowie, Md., said, "Yeah, I'll probably go see it. I expect to see another story similar to '12 Years a Slave' and 'The Butler' about a black person being enslaved and trying to make it out of slavery." Adam Downing, an accounting major from Baltimore, said, "If I can make it, sure. I'm really busy this week though. I would expect to learn some new things about newly freed slaves." Chaya Hairston, a pre-pharmacy major from Long Island, N.Y., said, "It seems like it will be just an interesting picture that depicts a part of our history that is not recognized and a chance to learn about our contributions in the war." Tori Liggins, a cinema studies student, said, "I'm looking for a better understanding of African American history, and it's always fun to learn about my culture and the strength of my ancestors." Hampton University through its partnership with BET Networks has the privilege of showing the first screening of a series that is engulfed in the sufferings of slavery but depicts the strength and power of African Americans to overcome it. Homecoming is a celebration steeped in history and tradition that brings students--past and present--together on their respective campuses to reflect on years past while anticipating their alma mater's future growth. For the characters in Curtis Bunn's "Homecoming Weekend," homecoming is also a time to impress their former peers, revisit past relationships, and satisfy missed opportunities. In his novel, Bunn suggested that homecoming weekend for students who attended a historically black college or university is also a period of personal celebration as they reflect on their growth from adolescences to adulthood. "[The HBCU is] the place that raised us from teenagers to adults," he wrote. "It's the place really where we matured and grew up. The school put its arms around us and hugged us when we were hungry or scared or uncertain. Homecoming is a celebration of all that." 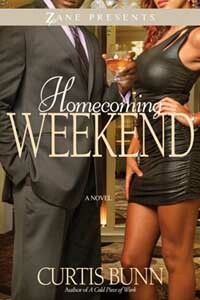 Set on the campus of Norfolk State University, "Homecoming Weekend" chronicles the return of 10 alumni to their school. Each has their own motive for returning, but during their visit, they all hope to accomplish a similar goal: to condense and relive their undergraduate experience into two days. As Hampton University alums prepare to return to their beloved "Home by the Sea," this weekend, some of them also hope to relive the highpoints of their undergraduate years. Toiya Turknett, a 2012 graduate, said she is most excited to return for homecoming because she misses her friends. "Some of the people I befriended during my time at Hampton have stuck with me since freshman year," said the Augusta, Ga. native. "We try to keep in contact on a regular basis, but it's really not the same since I don't get to see them everyday. This weekend I need to have so much fun with my friends that it lasts me until our next homecoming." Turknett said that graduating earlier this year caused her to be propelled into adulthood, something she was sure she was ready for until it confronted her head on. "Some days I wake up and say 'I don't want to do this anymore,'" Turknett said. "I want to wake up and not have a care in the world and not have to make adult decisions. Thank goodness this weekend is here because I can promise you I won't be making the mature decisions my parents would probably like me to make. This is definitely a 'what happens at homecoming stays at homecoming' weekend." Edmund Dunn, 25, has returned to Hampton for two homecoming celebrations since he graduated in 2009. He will not attend this year's homecoming because he is not where he hoped to be financially, personally, or professionally. "I wish I could come to homecoming this year, said Dunn of Chicago, "but it's like going home for Thanksgiving and being that family member that hasn't done anything with their life or doesn't have something good to say about themselves. Some people I graduated with are married with kids, or doing big things with their careers. I'm not. I don't want to be that family member. " Dunn said he probably won't attend another homecoming celebration until five years have passed. "I've put myself on a little five-year plan and hopefully it works out," he said. "Hopefully by then, when I come back, people will look at me like 'life's been good to him.'" Deidra Tyler, 43, returns to homecoming every year because she said it fills a void she has harbored since she left Hampton. Tyler did not graduate from Hampton, at the conclusion of the fall semester of her junior year she withdrew from the university. "That saying about college isn't for everyone isn't true," said Tyler of Richmond, Va. "There was no doubt college was for me, especially Hampton, but I had a lot going on at the time. My heart broke the moment my father drove me away from campus and I knew I wouldn't be coming back as a student." Tyler went on to complete her undergraduate coursework through an online degree program. While her degree may have another school's name printed on it, Hampton, she said, will always be her alma mater. "Life truly started for me the moment I stepped foot on this campus as a freshman," said Tyler. "A large portion of who I am was born on this campus, that's why I come back every chance I get. I love Hampton and I believe Hampton loves me and homecoming is the perfect time to display that love." The writer is a senior in the Scripps Howard School of Journalism and Communications.